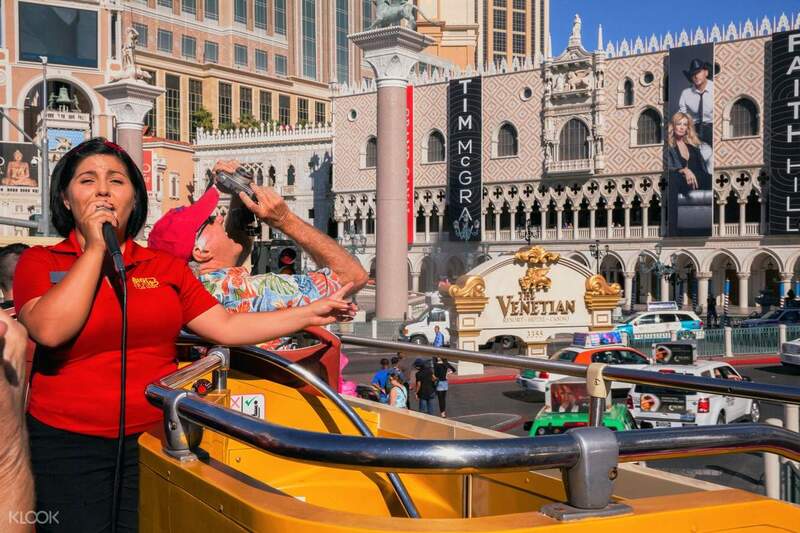 See all the landmarks in Las Vegas from the comfort of your seat on a Big Bus Day Tour. Visit the extraordinary desert oasis, go Downtown, and revel in the beautiful Strip. An experienced English speaking tour guide will be with you along the way to the different destinations, as you learn more about the city. 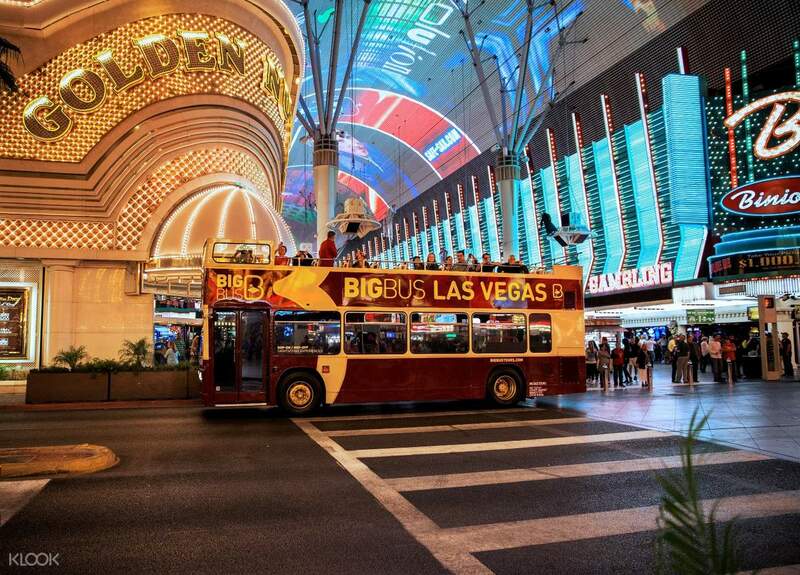 You can hop on and hop off to the different destinations at your own pace, including the High Roller Ferris wheel, Welcome to the Las Vegas Sign, and mega hotels and casinos. Just explore and wait for the next bus to transport you to your next destination! You can choose among a 24 hour, 48 hour, or 72 hour pass, and plan your itinerary accordingly. This experience is perfect for friends and family—including the kids! Enjoyed the tour with the knowledgeable guide. Guide gave interesting insights into the various locations. Enjoyed the tour with the knowledgeable guide. Guide gave interesting insights into the various locations. A must-do in Vegas, especially if it's your first time. Takes you anywhere you need to go. Roger must be your guide. He knows everything about Vegas. A must-do in Vegas, especially if it's your first time. Takes you anywhere you need to go. Roger must be your guide. He knows everything about Vegas. Overall good way to see Las Vegas Blvd, but there was an issue with one of the buses last Friday so we had to get off and wait for another for 30 minutes. The experience is definitely impacted by the tour guide!! One guide was awesome and the other talked too much abd mostly told us what she didn't know. Overall good way to see Las Vegas Blvd, but there was an issue with one of the buses last Friday so we had to get off and wait for another for 30 minutes. The experience is definitely impacted by the tour guide!! One guide was awesome and the other talked too much abd mostly told us what she didn't know. I was on a night tour on December 10th at 7:00 pm. The guide who asked me to leave Susie if it was not fun was really fun! It was so funny to talk to me well and communicate well. I lost my credit card on the first day of Las Vegas, so I was so depressed that I came back with so good memories. I did not feel a little more expensive than Big Bus in other countries, but the night tour was the best as it was not expensive and not worth the money. Feeling like watching all shows and Las Vegas in one? 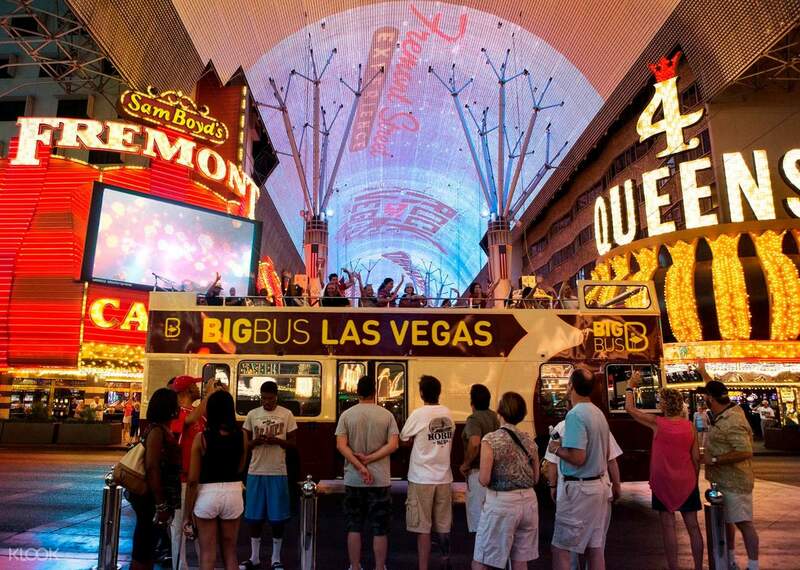 Thank you so much for giving me memories LAS VEGAS BIG BUS! 12월 10일 밤 7시 나이트 투어탔는데 재미없으면 수지라고 남겨달라고했던 가이드분 진짜 너무너무 재밌었어요! 소통도 잘해주시고 잘챙겨주시고 말하는게 너무 웃겨서 라스베거스 첫날 신용카드 잃어버려서 너무 울적했는데 덕분에 너무 좋은 추억 가지고 돌아왔어요. 다른나라 빅버스보다 조금 비싼감 없지않아있었지만 타보니 그 돈이 비싸지않고 하나도 안아까울만큼 정말 나이트투어는 최고였어요. 이거 하나로 모든 쇼와 라스베이거스를 다 구경하는느낌? 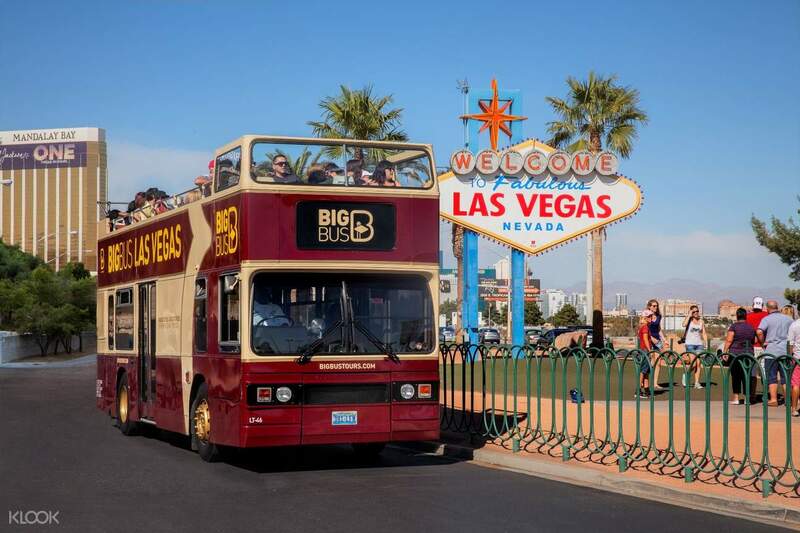 Thank you so much for giving me memories LAS VEGAS BIG BUS!